As you know, apparel-inspired prints are all the rage for eyewear this fall (here’s your trends cheat sheet if you didn’t know that! 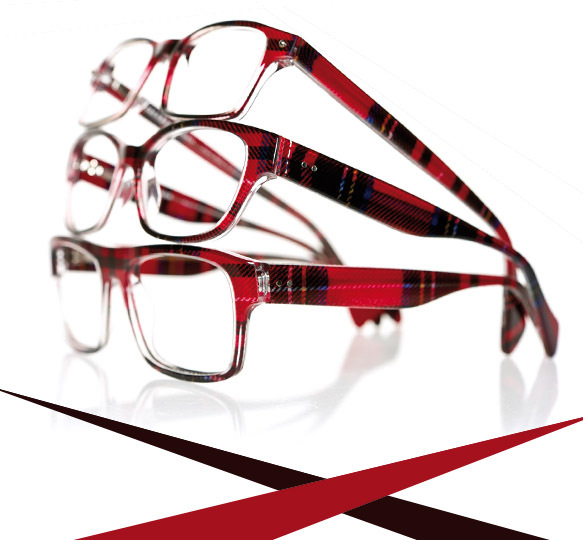 ), so it’s no surprise that Face á Face’s 2012 collection incorporates tartan designs on six of its bestselling frames. Tartan—well, it’s considered plaid to most of us in North America—has been a staple print in the fashion world for decades. Face á Face brings this iconic pattern into a new light as it dresses up their classic Sagan 1 and 2, Macho 1 and 2, Djinn 1 and Woody models. The rich red and black hues from the traditional tartan design will make your eyes pop and add a zesty spin to your entire wardrobe.